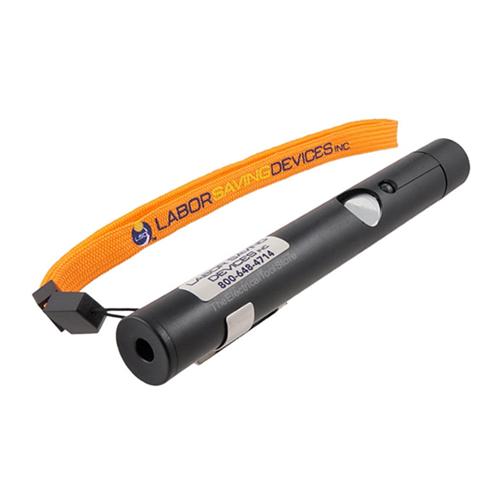 The new Labor Saving Devices mini in-Wall Viewer is just what the doctor ordered to give the installer a birds eye view in to a wall cavity. 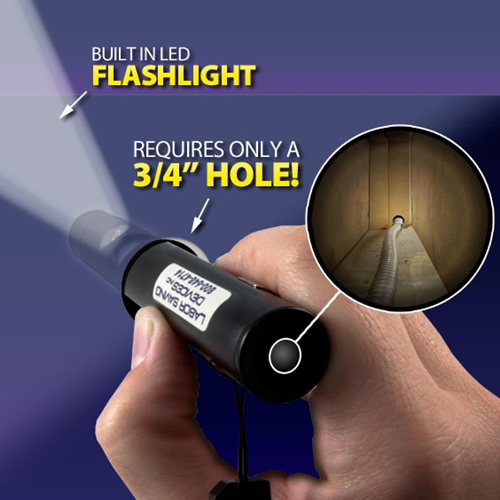 With this clever tool, you can see inside dark and confined wall cavities, pipes, or ceilings through a hole as small as 3/4 inches. This rugged Pocket Wall-Eye houses a built in mirror and powerful LED light that provides a clear field of view 90 degrees from your eye. Use this tool to see obstacles inside walls such as fire blocks, top or bottom plates, conduit, plumbing, existing wire, studs and debris before you commit to drilling your retrofit wire path.